It's that time of year again-- Diwali is here! I had a bunch of fun stuff planned to do with the kids last weekend that sort of fell through when my son got sick! But luckily there is still time to craft a bit before the holiday on Sunday. Here are a few ideas to do either with your kids or for your kids. 1. 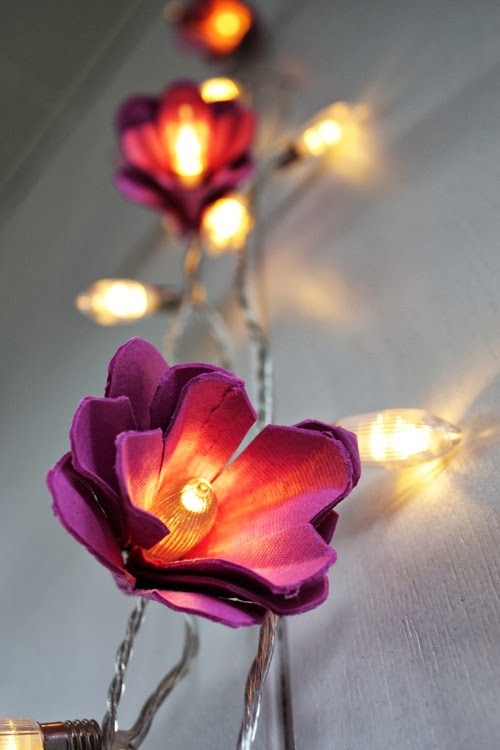 Gorgeous lights from -- get this!-- egg cartons from Create My Events. 2. DIY Thali's (trays) from Kid World Citizen would be fun to do with your kids or by yourself. 3. 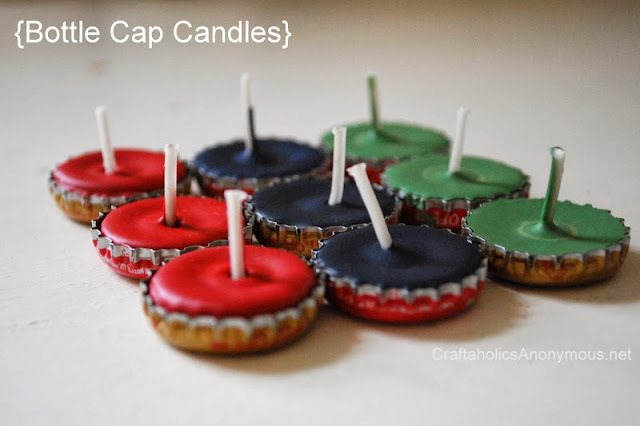 These bottle cap candles from Craftaholics Anonymous are made with crayons! These would make perfect little diya's, and could be a neat project to do with older kids. 4. My very own painted diya craft is a better option for toddlers and preschoolers. 5. 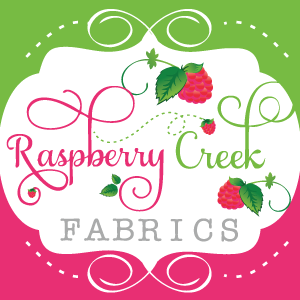 I am so very excited about this next craft! These reusable kundan rangoli's caught my eye a few years ago but they are so pricy to buy and ship. 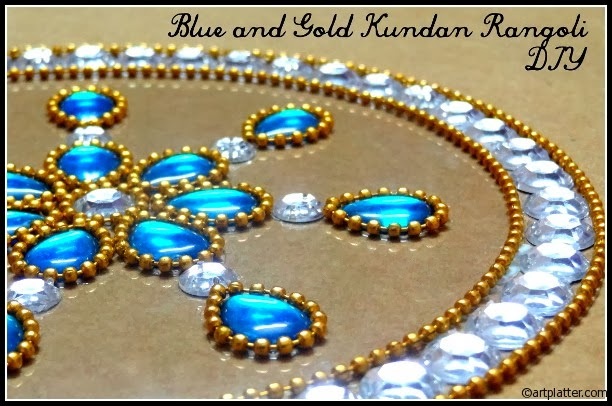 But, Art Platter gives step by step instructions on how to DIY your own Kundan Rangoli. This would be perfect for those of us who shy away from doing traditional rangoli. 7. Another DIY toddler proof rangoli option uses craft items that you probably have laying around. Check out my own Washable Paint Rangoli tutorial-- we'll definitely be doing this again this year. 8. 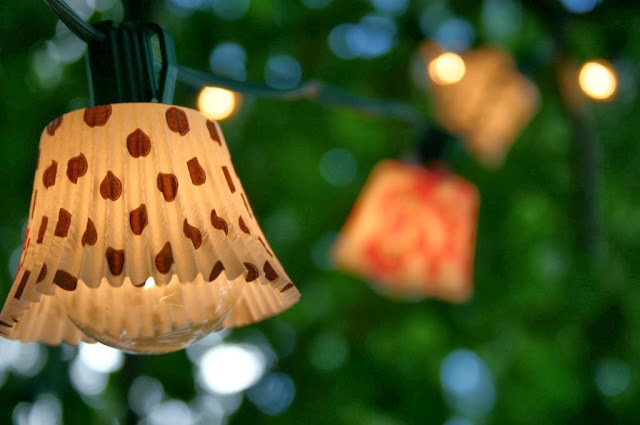 Another simple 5 minute idea-- make lanterns out of cupcake liners. 9. 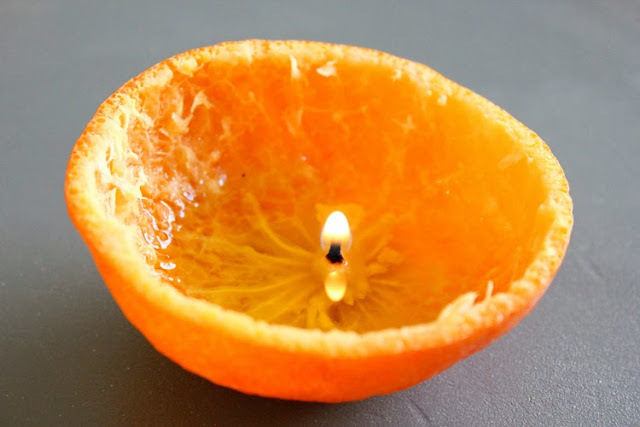 Delia Creates made candles from oranges! This would be the neatest idea to do with an older child while delving into the science behind oil lamps and wicks. 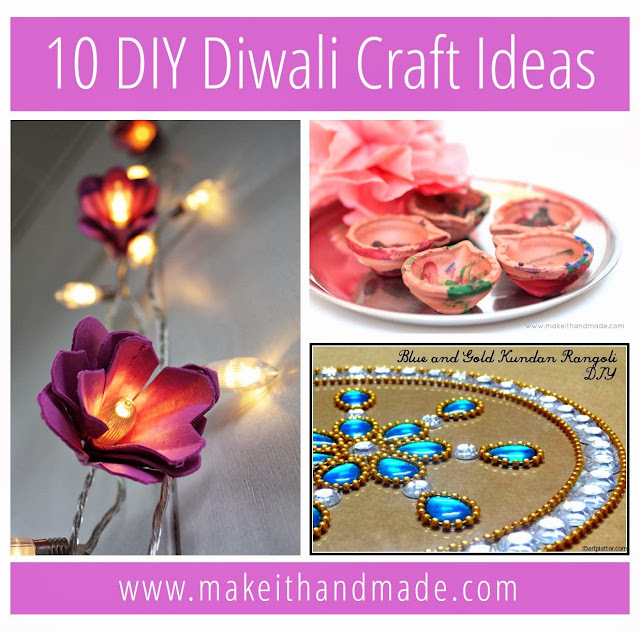 Even if you don't celebrate Diwali, I hope you enjoy checking some of these crafts out! I'll see you back here on Halloween for a super spooky post!